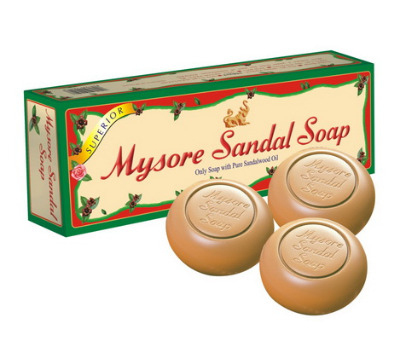 The only soap made from 100% pure sandlewood oil, it is the oldest known perfume. 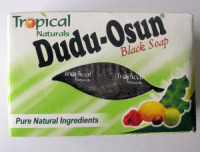 This soap is made from vegetable oil with no animal fats and has not been tested on animals. 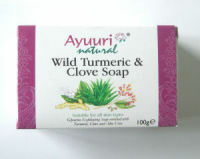 The oil in this soap is distilled by the government of Karataka. 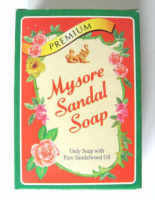 It has been manufactured sice 1916 when the king of Mysore set up the set up the government soap factory in Bangalore because of the excessive sandalwood reserves which could not be sold to Europe any longer due to the world war. Box contains 3 x 150 g and comes in a beautiful decorated box.